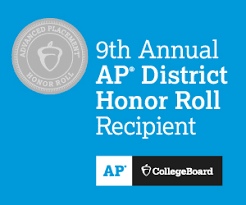 Sheldon ISD is one of 373 school districts in the U.S. and Canada being honored by the College Board with placement on the 9th Annual AP® District Honor Roll. To be included on the 9th Annual Honor Roll, Sheldon ISD had to, since 2016, increase the number of students participating in AP while also increasing or maintaining the percentage of students earning AP Exam scores of 3 or higher. Reaching these goals shows that this district is successfully identifying motivated, academically prepared students who are ready for AP. "We’re proud to have been named to the College Board’s 9th Annual AP® District Honor Roll for our efforts to expand access to AP coursework and improve student performance on AP Exams," Sheldon ISD Superintendent King Davis said. "This is just one more indicator that informs us that we are headed in the right direction."